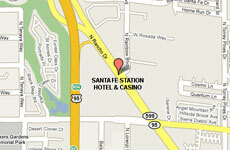 Santa Fe Bingo Room has 488 seats featuring a variety of exciting games, large jackpots and daily electronic specials. Jumbo Bingo Progressive with a $100,000 minimum coverall the first game of every session. 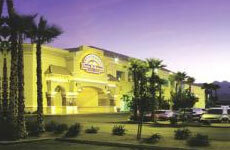 Visit Santa Fe's New Live Poker Room. Play your favorite Poker games 24 hours a day in our smoke-free room. 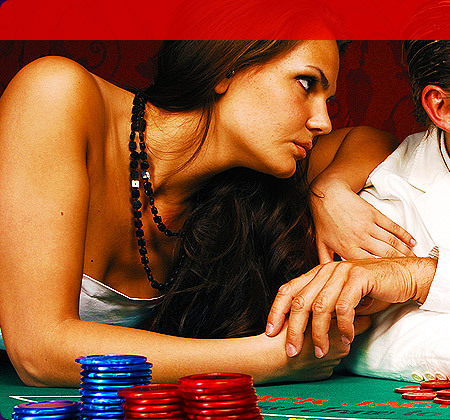 The No Limit game we spread is $1.00 and $2.00 blinds with a minimum buy-in of $50.00 and a maximum buy-in of $300.00. 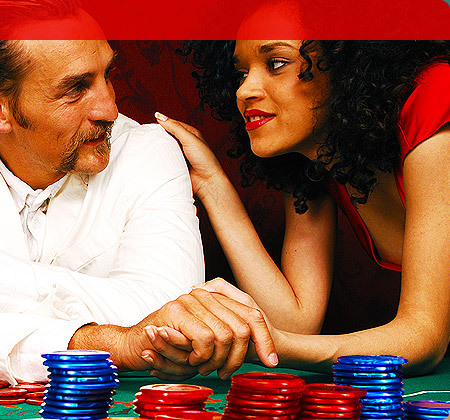 2-5 No Limit minimum buy-in $200.00 and a maximum buy-in of $600.00. Santa Fe Station has all of the Hottest and Loosest Slots! Try Wolf Run, Cake Walk, Sun and Moon, Zeus and Brazilian Beauty. All in penny denominations! Plus, press your luck in our ALL-NEW High Limit Slot Area featuring $1, $2, $5, $10 and $25 machines! Santa Fe also offers a newly remodeled pit featuring 47 table games including Blackjack, Craps, Roulette, Pai Gow Poker, Mini-Baccarat, 3-Card Poker, Progressive Texas Hold'em and Ultimate Texas Hold'em.